The FocusCPD Team combines the expert talents of several industry experts; each contributing an essential and compelling value to your learning experience. These individuals blend their diverse talents to create the kind of professional development experience that focuses on the right issues, accelerates knowledge transfer, turns understanding into practical actions and delivers sustained performance improvement. This team shares a common passion for creating the kind of learning environment that enables relevance, timeliness and the kind of application that leads to meaningful and lasting value. 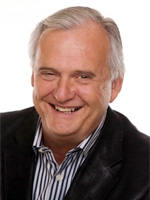 Stuart Hartley is the founder and president of FocusROI Inc., a specialized consulting firm that provides training, advisory services and quality control monitoring. Stuart is a chartered accountant in the United Kingdom and a chartered professional accountant in Canada, and he has also worked extensively in the United States. Prior to creating FocusROI, he was a senior audit partner at BDO. During that time, he was the national director of accounting and auditing and a member of CPA Canada's Auditing Standards Committee. He helped develop BDO's international audit methodology and has trained extensively on auditing practice and CaseWare implementation around the world. Before BDO, he spent two years with the office of the Auditor General of Canada, where he developed methodology for performing value-for-money assignments. 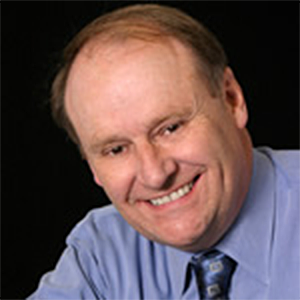 Stuart is the primary author of CPA Canada's publication the Professional Engagement Guide (PEG), and previously the Canadian Professional Engagement Manual and the Professional Engagement Manual for over 20 years. In addition, Stuart is the author of the Quality Assurance Manual, also published by CPA Canada. He is also the author of the Guide to Using International Standards on Auditing in the Audits of Small- and Medium-Sized Entities; the Guide to Review Engagements, published by the International Federation of Accountants on its website; and the booklets Risk Management Primer for Directors of Not-for-Profit Organizations and Risk Management Toolkit for Not-for-Profit Executives, both published by the Canadian Society of Association Executives. Stuart publishes many articles and is a popular instructor of several professional training courses. 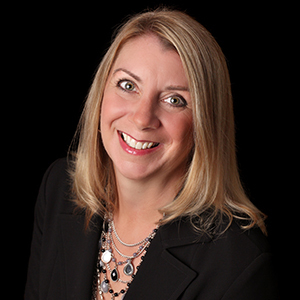 Jennifer McCann is the CEO of FocusCPD Inc. and vice-president of FocusROI Inc. Jennifer is a co-author of the Professional Engagement Guide and the Quality Assurance Manual, both published by CPA Canada. With over 20 years of experience, Jennifer assists accounting firms with the effective and efficient application of accounting and assurance standards, the maintenance of quality control systems, and the creation and development of relevant training programs. Barry Pettit specializes in the design of online learning solutions that create a memorable learning experience; one that enables you to make the most of your PD time. Barry is recognized for achieving user approval ratings of 96%+ from a broad cross section of online users; many of whom had little exposure to an online learning environment. He is recognized by his peers as an innovative thinker and learning specialist who is constantly advancing the value of online learning for professionals. His team of learning, assessment, media and software experts create online learning experiences that will make a difference to you, whether you are in practice or in industry.